Build your next generation phone system with Ozeki Phone System XE! Ozeki Phone System XE for Windows is the most advanced VoIP PBX that offers first-rate VoIP features and services. It is fully SIP compliant and supports standard SIP software and hardware phone devices effectively. It allows making calls via a VoIP service provider or via the Public Switched Telephone Network. It ensures all traditional PBX features like call transfer, call conference, call forwarding, voicemail, etc. Additionally, Ozeki Phone System XE provides advanced and outstanding functionalities: it makes it possible to connect mobile phones to the office with smart phone apps, allows SMS messaging and even website integration. Ozeki Phone System XE has built in support for two way SMS text messaging. It also supports smart phones and comes with a smartphone app that allows you to setup your Android mobile phone or tablet as a fully featured mobile extension. It has a built in webphone service that allows you to add a live chat window to your website. Due to its great flexibility, Ozeki Phone System XE can also be connected to IT systems, such as CRM, helpdesk administration and marketing systems. It provides interfaces (e.g. 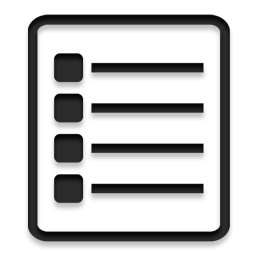 HTTP API, SQL API, C# API) for your IT system to setup and control calls, and to interoperate with PBX services. Our guides provide you with screenshots of the PBX for easier configuration and understanding of Ozeki Phone System XE. These screenshots show you what exactly you need to set up, what you need to click on to make the application or feature of Ozeki Phone System XE work you wish for. 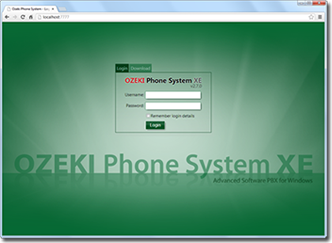 We have created a data sheet that sums up the most important things related to Ozeki Phone System XE, such as the supported operating systems, the software requirements, the features of the system, a few example applications, the supported VoIP devices and softphones along with the supported codecs. Ozeki Phone System XE has several available accessories and the following page provides information about them. The page contains a list that gives short descriptions about the available accessories with hyperlinks for detailed descriptions.